11 Ways To Crush (Treat) Nail Yeast Infections - YeastInfection.Org by Eric Bakker N.D.
One of the most common problems to arise when it comes to Candida is that of fungal nail infections. And, not only are these infections extremely common, but they also have another factor in common – they recur time and time and time again. Rarely do patients experience such problems and find they can be cleared up quickly and easily never to return again – so here are Ten Tips which will help you manage that unsightly and irritating fungal problem, or, just as importantly, prevent it happening in the first place! 1. Clean and Dry is Best! Always try to keep your feet and hands both clean and dry. Although many people think this might go without saying, often we find that patients fail to dry their feet properly – and particularly in-between and behind the toes. Also they seem to forget that there are lots of situations outside of having a shower when feet might get wet, such as getting caught in the rain in unsuitable shoes, even excess sweating in the summer or when you have attended the gym. Often the same problem can arise in the winter when gloves are worn more frequently or we start to layer socks inside boots and shoes. If you live in a region where this happens then make sure you change not only socks, but also gloves, regularly. Many professions also necessitate wearing clothing which can incubate fungal infections such as farming or equestrian situations where rubber boots are worn. Factory workers, welders and even athletes are others who will wear the same footwear throughout the day and every day of the week without even considering where the source of their yeast infection might be hiding! Even office workers wear the same shoes maybe for 12 hours a day and then wonder why they are developing fungal nail infections. Remember to keep your feet, hands and footwear clean and dry. If necessary use a hairdryer to rid yourself of dampness between the toes after showering or getting caught in the rain. Where possible kick off the shoes and socks and go barefoot. Allowing the air to circulate around the feet when they are not constricted by footwear is one of the best ways to ensure healthy feet. Remember that fungal infections thrive in dark, moist locations and they do not need an anaerobic environment. Setting feet free means the yeasts have fewer places to hide! 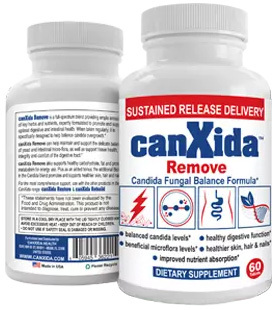 Is Undecenoic Acid Good for Candida? 3. Sit in the Sun! One thing which fungal infections have in common with Dracula is that they both hate sunlight! The yeast infections which love the damp, dark and warm environments of your sweaty sneakers simply have nowhere to hide and thrive if you expose them to bright and drying sunlight. It only takes 15 minutes sun exposure every day to send those yeasts into a retreat, and if you can do this on a beach then all the better. 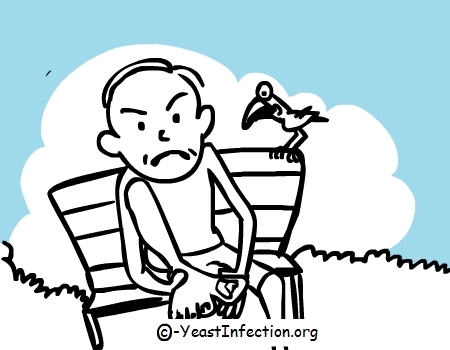 Fresh air, sunlight and salty water are all things that fungal infections hate. People who spend a lot of time on the beach rarely suffer from yeast infections! Not only is it important to remember to change your socks regularly but also to buy socks which allow your feet to breathe. Cotton socks, like cotton underwear, is always the preferred choice. To give your feet a little additional protection consider sprinkling some Tea Tree powder either directly on to your feet or into your socks just prior to putting them on. Although comfortable shoes are important no matter what you do, the temptation is to stick with the same shoes day after day – and this really isn’t a good idea. Try changing your footwear regularly. If you have a favorite pair of shoes for work then increase this number by another two or three pairs and make sure you don’t wear the same pair continuously. If it’s possible, try wearing sandals whenever you can. It may not be an option at work but have a pair ready and waiting when you get home rather than placing your feet straight into stuffy slippers. Remember too that sprinkling a little Tea Tree Powder into slippers will keep any lingering yeasts in check! Fungal foot and nail infections are generally considered to be an inconvenience rather than a disease, so as either preventative or eradication methods why make the leap to treat them with aggressive drugs that may result in side-effects? For the most part, prevention is better than cure and engaging in such natural practices as spending a day at the beach or using either Tea Tree Oil or the Powder derivative, will usually resolve many minor issues. Although most people usually equate apple-cider vinegar with drinking, it makes an excellent addition to a foot bath. Try adding half a cup of ACV to a foot bath full of warm, not hot, water. If you have some available add half a teaspoon of colloidal silver. Then soak your feet for at least 10 minutes. Remove your feet straight on to a warm, soft towel and dry carefully. To make doubly certain they are dry try use a hairdryer on a warm setting to get in between toes. When they are perfectly dry finish off by dusting lightly with Tea Tree Oil Powder. As you may have gathered already one of my favorite natural treatments for foot and nail fungal infections is Tea Tree. In particular I can recommend the Australian (Melaleuca alternifolia) Tea Tree Oil. Rarely have I seen this product fail when it comes to restoring the healthy condition of feet and nails and it is beautifully simple to use. Simply rub several drops into the foot or hand area night and morning and leave to soak in. It certainly won’t resolve the problem overnight but slowly, and particularly when used in conjunction with my other fungal tips, will resolve the infection and restore the health of the affected area. Never, ever use artificial nails to cover an infected nail. Although it might be unsightly and the natural urge is to hide it away, all that happens is that you provide the fungus with an environment which is more conducive to it breeding. This can result in the infection becoming more deeply embedded than it was originally. When it comes to nail salons also make sure that they are performing good cleansing practices when using equipment which they may have used on previous customers. Not many people think of applying garlic topically, but it has great antimicrobial properties and works particularly well on fungal infections. Take a clove of peeled garlic and crush it finely. Then rub the mixture into the affected area of the foot or hand. If possible apply a covering, such as a large sticking plaster, over the area and leave it overnight. In the morning simply remove, wash and dry the area well and then rub with a drop of Tea Tree Oil. There is no need to repeat this process daily, but two or three times a week until the infection is gone, is recommended. Good things take time and getting rid of nail yeast infection can take a long time so don’t give up. You aren’t going to reverse any fungal infection overnight and prevention is always better than cure. If you suspect that your fungal infection is simply a manifestation of a more significant problem then try taking my quiz here. I have glabrata. Could this lead to yeast infection in the nails? If so how do I treat it?